Those who have spent a great deal of time outdoors may eventually wind up with skin that is sun damaged. Patients who live in Jupiter, West Palm Beach, and Palm Beach County can have this condition repaired at Supriya Aesthetic Dermatology. What are some signs of sun-damaged skin? What treatments are used to correct sun-damaged skin? What are the typical results of sun damage treatment? Patients can expect to see a reduction in age spots, enlarged blood vessels, or solar keratoses. Fine lines and wrinkles can also be diminished whenever laser abrasion is performed. Additional procedures may be needed to correct sagging skin or especially deep wrinkles. What are the benefits to having this condition treated by a dermatologist? 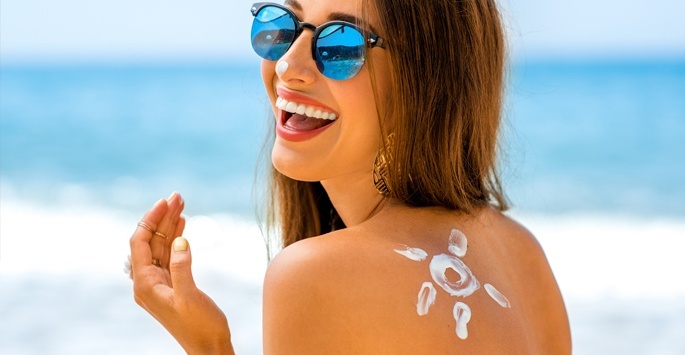 That depends on the person’s lifestyle, since continued sun exposure, smoking, and drinking alcohol can cause signs of sun damage to reappear. This varies from one person to the next. Some patients will require multiple treatments within a short timeframe, while others may need additional treatments years or months later. How Much Does Sun Damage Treatment Cost? Skin rejuvenation treatments are considered to be elective, so most insurance providers won’t cover the costs. To help make sun damage treatment affordable and accessible for everyone, Supriya Aesthetic Dermatology offers financing options via CareCredit®. We also accept cash, personal checks, and major credit cards. Contact us today if you have any questions about the cost of sun damage treatment. Just because a person enjoys being in the sun, it doesn’t mean he or she has to live with the results of sun-damaged skin. Treatments options are available to help remove the damage that has already occurred. Those who are affected won’t have to forego outdoor activity altogether to maintain healthy and glowing skin. Many people in Jupiter, West Palm Beach, and Palm Beach County have spent a great deal of time soaking up the sun’s rays. Those who find their skin has become damaged as a result can contact Supriya Aesthetic Dermatology to help them restore their complexions. For an appointment, contact us at 561-805-9399.